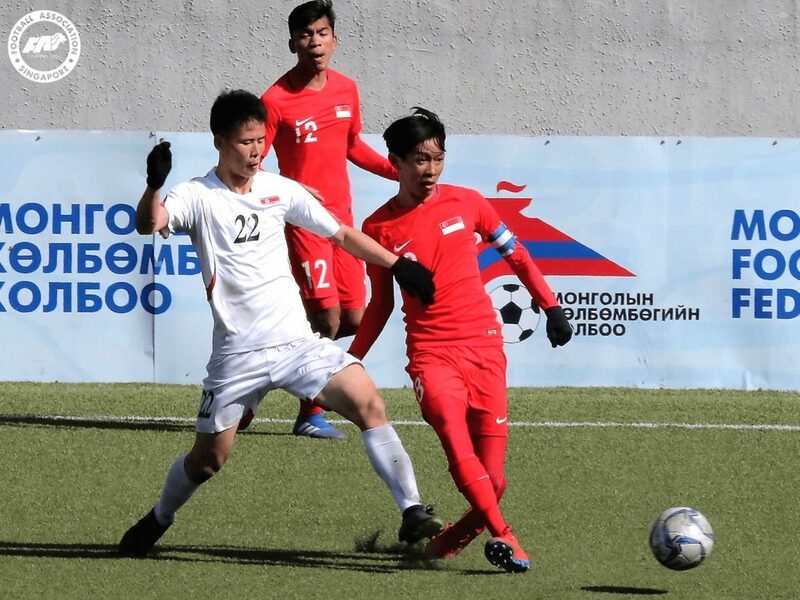 ULAANBAATAR, 25 MARCH 2019 – Singapore head coach Fandi Ahmad could not be more proud of his charges after they drew 1-1 against DPR Korea in the Asian Football Confederation (AFC) Under-23 Championship qualifiers yesterday. Ikhsan Fandi gave the U22s the lead just two minutes after kick-off with a wonderful individual effort at MFF Stadium, but DPR Korea hit back five minutes later with an equaliser. Singapore, ranked 30th out of the 44 teams in this qualifying tournament, then held on admirably against the Koreans, who are ninth seeds. Goalkeeper Zharfan Rohaizad made a string of good saves and Fandi expressed delight at the result in their second Group G match, having drawn 1-1 with Hong Kong in their opener last Friday. “We are very, very happy to get a point today against a very strong team…(they are) well-drilled, very physically fit and strong,” he said. “Today, we changed our formation because we know they are stronger. “I think we put up a very good show… they (the players) were determined to win all the battles and never gave up. We fought very hard to beat the team that is the favourite to go to the next round. 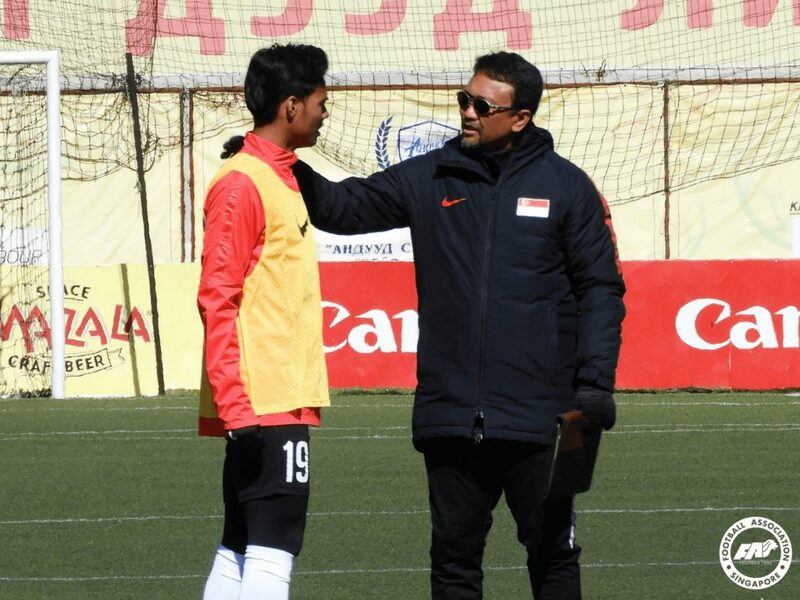 With only one match left to be played tomorrow against hosts Mongolia, Fandi remains hopeful that Singapore can qualify for the AFC U23 Championship tournament for the first time. The 11 group winners and four best runners-up will qualify for the finals, which will be held in Thailand next year. The match between Singapore and Mongolia will kick off at 5pm on Tuesday 26 March.